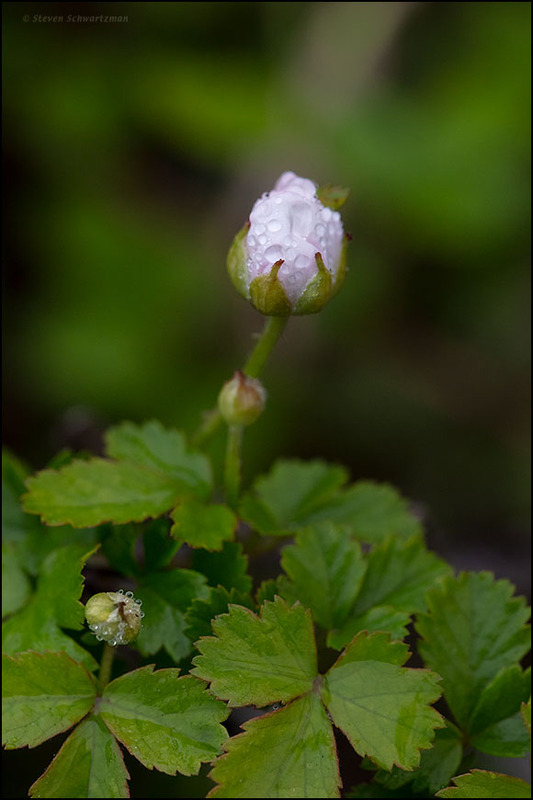 I’ve seen lots of dewberry patches lately, often with buds and flowers. This bit o’ the green is nicer than the vile green they die the Chicago River every year. We’ll take our green natural, thank you. Yes, even when it ain’t easy. And an appropriately green day to you, too. I went native, Texas style. This is great! maybe not shamrocks but they’ll do very nicely! cheers, Robbie O’Frosty. In response to your cheers I’ll wish you greetings and greenings. And equally appropriately on a botanist’s or nature lover’s shirt. I thought the phrase “greetings and greenings” might be unique, and apparently it almost is, the one exception that turned up being in connection with a company that purports to sell the world’s best cat litter. When I reversed the phrase to “greenings and greetings” I got no hits. Interestingly, in response to both searches Google asked if I meant “greetings and greetings.” My answer is no and no. Perfect for the day, or any day, really! I’m with you on the “any.” Here’s to chlorophyll! I’ve been so distracted by this and that, I didn’t even realize yesterday was St. Patrick’s day until I saw your post. I’m sure my Irish ancestors are aghast, or would have been, were they still around. The oxalis makes a perfectly acceptable symbol for the day, besides being pretty all on its own. When I was looking at the dewberries yesterday, I was suprised to find full-sized berries on the vines already. It won’t be long until birds and people have a seasonal feast ready for them again. Then your dewberries are way ahead of ours; I haven’t seen a single fruit that’s even getting started. Speaking of holidays, when I encountered unusually light traffic this morning I first wondered if today is a holiday I’d forgotten about. Turns out it’s spring break for all the schools here. Then it occurred to me that the way to solve Austin’s traffic problems is to permanently close all the schools. In many cases there’d be no marked difference in what the students come away knowing, and we’d save a ton on property taxes. Oh, cynical me. Dewy Dewberry. There must be a 4-leaved Oxalis in all that? Probably in there with Waldo. Somehow I’ve never thought about a four-part oxalis leaf. 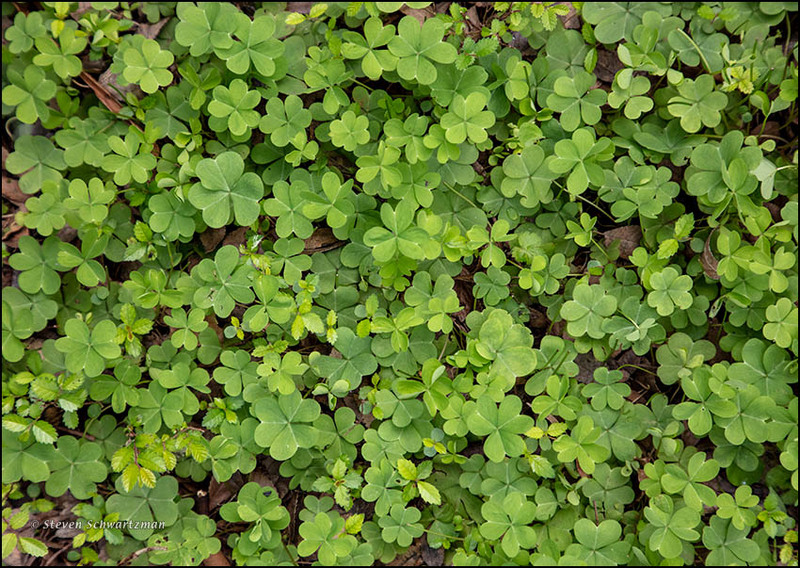 What’s good for clover should be good for oxalis, right? Yep. Saw them on Google. In the results of your Google search I noticed Oxalis tetraphylla, whose species name says that four is the norm for that species. Maybe someday I’ll find a rare four-parter in a species of oxalis that’s normally a three-parter. Southern dewberry? That is a Rubus that I never heard of. Are the berries any good? You bet: just as good as any other blackberry. Dewberry picking down here goes way back. Hey, it is in Oklahoma! I dew not remember it. Perhaps it’ll come to you in dew time. If it were hybridized with knotweed, would it be ‘don’tberry’ or ‘don’tweed’?